BisioConsulting works with a variety of industries and organizations to provide Consultancy in order to support positive changes in the area of occupational health and safety. We also provide professional Training about workplace safety and Coaching in several business areas and fields. Some data are rounded down. Documented data can be provided according to privacy aspects. A 25 years experience in more than 150 organisations allowes me to deliver result-oriented projects of training, coaching, consultancy. Most meaningful collaborations in the recent years: Dupont Sustainable Solutions, University of Milano Bicocca, Confindustria (Association of Industries in Italy), Safe Start, many companies in several business sectors. the Master Degree in Occupational Psychology (Università di Padova, 1995). 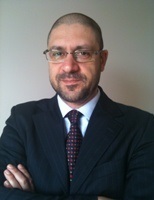 Graduate Member of IOSH (Institution of Occupational Safety and Health – UK), member of AIAS (Professional Association for Safety and Environment – Italy), member of SIE (Ergonomics and Human Factors Society – Italy). Many papers and books published, based on my concrete experience, and hundreds of – large and small – projects accomplished.